Business Insurance - AC Marmo & Sons, Inc. This is a great program for the small to medium-sized businesses. A business owners policy packages together many coverages in one policy, thereby eliminating the need for the business owner to elect the type and limit of coverages for all of the ancillary items of coverage. However, the coverage for your building, contents, crime and general liability, needs to be discussed with a professional insurance agent. There are also other coverages that can be added at a minimal cost. Call 973-340-9100 and let us work with you to customize a policy for your business. Just like your personal automobile policy, commercial auto insurance covers liability, comprehensive, collision and medical payments, should an accident occur with your commercial vehicle. First and foremost, you need to understand, your personal auto policy will not cover damages while the vehicle is being used for business purposes. Commercial auto insurance is written to cover your business car, truck, van or a fleet of vehicles. Your policy will cover injuries or property damage that you or your employees may cause to other people and their property. It is most important that you list all of your employees, who may operate your vehicles. Liability Insurance – Covers bodily injury to others and any property damage to another vehicle if you are at fault in an accident. Bodily injury pays others’ medical costs and lost wages, and your legal expenses if a lawsuit is brought against you due to an accident. Uninsured Motorist Coverage – Pays for your injuries or property damage if you’re hit by an uninsured driver or, in some states, an unidentified driver. Underinsured Motorist Coverage – Protects you if the at-fault driver doesn’t carry adequate liability insurance to cover your bills. Collision Insurance – Pays for damage to your vehicle if you hit another vehicle, another vehicle hits you or your vehicle rolls over, regardless of who is at fault. Collision coverage may be required if your vehicle is financed or leased. Comprehensive Insurance – Pays for damage to your vehicle from causes other than an accident. Such causes may include theft, flood, vandalism, earthquakes, fire or damage from a bird or animal. The limit/amount of liability coverage is most important, that is, since 98% of all liability claims are filed for $1,000,000, it is short sided to purchase coverage for a lesser amount. Contact A.C. Marmo and Sons, Inc. for more information, we would be happy to take questions as well as provide you with a free premium quotation. If an employee is injured on the job and requires medical treatment, your workers compensation policy will pay those bills. Your policy will also cover lost wages and services that help the employee recover and get back to work, as soon as possible. No matter what type of business you operate, you have a legal obligation to keep your employees safe at work. This responsibility will be fulfilled by purchasing a workers’ compensation policy. It will also provide benefits for the dependents of employees who lose their life, due to a work-related accident or illness. Limits of coverage are very important, that is, the minimum limit of coverage is $100,000/$500,000/$100,000, however for a slight increase in premium, you have the option to increase your coverage to $500,000/$500,000/$500,000 or $1,000,000/$1,000,000/$1,000,000. We strongly recommend the highest limit. All workers’ compensation insurance policies are auditable at the discretion of the insurance company. That is, at the inception of the policy, you must advise the insurance company of what your “estimated payroll” will be for your type of business. After the policy expires, the insurance company will audit your payroll to determine your “actual payroll.” If your audited payroll is less than your estimated payroll, you will be entitled to a return premium. Conversely, if your audited payroll is higher than your estimated payroll, you will have an additional premium due the insurance company. Contact A.C. Marmo and Sons, Inc. for more information. We would be happy to answer your questions as well as provide you with a free premium quotation. Umbrella insurance refers to liability insurance that is in excess of specified other policies and also potentially primary insurance for losses not covered by your other policies. When an insured is liable to someone, the insured’s primary insurance policies pays up to their limits, and any additional amount is paid by the umbrella policy, up to the limit of the umbrella policy. Contact A.C. Marmo and Sons, Inc. for more information, we would be happy to take questions as well as provide you with a free premium quotation. It’s true-today, even the smallest of mishaps can result in large lawsuits. That’s why we take your protection seriously and have developed several insurance liability coverages’, to fit each client’s insurance requirements. General liability, along with property coverage and workers’ compensation are required for most businesses. Liability insurance specifically protects the assets of a business when it is sued for something it may have -or have not- done to cause personal injury or property damage. General liability insurance in New Jersey helps to safeguard you and your business from accidents, as well as any injuries or property damage caused by your negligence, a trip and fall or a products liability claim. In addition to the limits of the policy, coverage can be designed to cover supplemental payments for attorney fees, court costs, and other expenses associated with a claim or the defense of a liability suit. 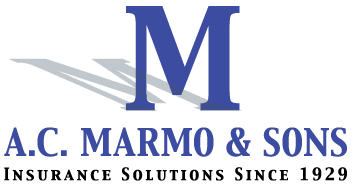 At A.C. Marmo & Sons, Inc., our experience determines the proper protection for you and your business. Our clients can rely on our insurance knowledge, to provide the proper amount of coverage, to safeguard their future should a substantial claim occur. That is, in the state of New Jersey, there is one attorney for every five adults and New Jersey is a more litigious state than that of California. Today, comprehensive general liability insurance is more of a necessity than a luxury, to protect you, your family and your business. Most limits start at $100,000 of coverage and can be increased to $500,000 or $1,000,000 at a nominal increase in cost. Be advised that 98% of all liability claims filed in the state of New Jersey, are filed for $1,000,000. Contact A.C. Marmo and Sons, Inc. for more information, we would be happy to take your questions, as well as provide you with a free premium quotation. What Is Data Breach and Cyber Liability Insurance? Data breach insurance and cyber liability insurance helps cover the costs of a data security breach for things like identity protection solutions, public relations, legal fees, liability and more depending on the coverage you choose. You want data breach coverage in place because quick action is critical to help restore the public’s confidence, if your business is victimized by a cyber-attack. To mitigate the risk of civil litigation and other penalties when a data loss or theft occurs, a cyber liability or data breach insurance policy can provide access to professional assistance to help businesses comply with applicable laws and regulations. In the event of a data breach, a business must respond quickly to help protect impacted individuals and the business’s reputation. Our coverage can help with response related expenses including, costs to notify impacted individuals and good faith advertising. And in most states, cyber security coverage is available to help cover legal defense and liability expenses if your business is sued because of a breach. Businesses must respond swiftly to minimize the impact of a data security incident on their customers, employees and their business. Their reputation is at risk, and there are laws and regulatory requirements that must be addressed immediately or companies that experience a breach could face steep penalties and even lawsuits. Protection includes access to experienced breach response partners that can assist businesses in meeting their lawful obligations and communicating to those who may be affected by a cyber threat, breach or theft of personally identifiable information entrusted to the business. Always back up your data regularly and store it securely. Contact A.C. Marmo and Sons, Inc. for more information. 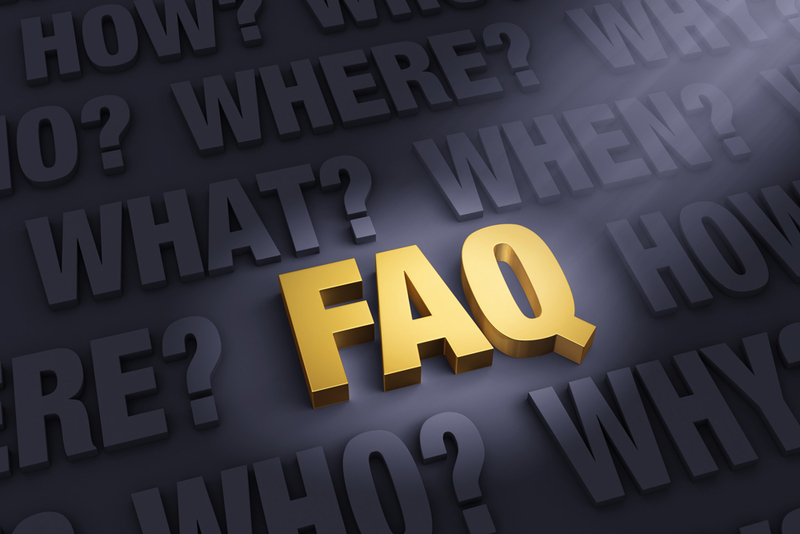 We would be happy to answer your questions as well as provide you with a free premium quotation. When it comes to the restaurant business, we all know that the customer is always right. 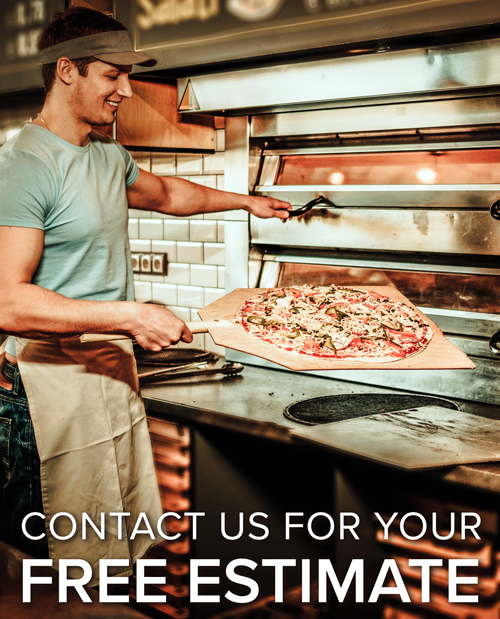 Your entire business is geared towards providing your customers with the best, most satisfying dining experience possible. This means sometimes having to go above and beyond the call of duty. Equipment Breakdown coverage can help when a covered equipment failure causes damage or lost income. Spoilage insurance can help if food spoils when a refrigerator breaks or the power goes out. Food Contamination Shutdown insurance can help with income lost when you’re forced to close for contamination-and it may even assist with the costs of complying with required fixes. Liquor liability covers damages or injuries caused by overserved patrons. Workers’ Compensation covers injuries to your employees and medical bills. Umbrella liability increases your limits and broadens your coverage. Of course, the best way to make an informed decision about your coverage if to talk to one of our commercial insurance experts. Let us put our years of experience to work for you. Contact us today for a free consultation. What Is Professional Liability Insurance/Errors and Omission Insurance? Even if you’re an expert in your business, you may make a mistake and if the client or customer thinks the mistake impacted them financially, you may be sued. Professional liability insurance, also known as errors and omissions insurance, or E&O insurance, helps cover you and your company if you are found negligent in the professional services you provided. Professional liability insurance helps protect you and your company against a claim that professional advice or services you provided caused a client or customer financial harm due to mistakes on your business’s part or because the business failed to perform some service. For example, if you are an accountant or bookkeeper and make a clerical error that costs a client thousands of dollars or if you work as a photographer and accidentally damage a client’s wedding photos – claims in these situations could have costly legal repercussions. Professional liability insurance will help cover the costs and fees associated with resolving such incidents, including legal fees and damages awarded. One thing to consider when choosing a Professional Liability insurance provider is that many professional liability insurance policies are written on a “claims made” basis with a retroactive time frame. For example, if a claim is made against you for an act that happened before the retroactive date on the policy, that claim won’t be covered. So when selecting your Professional Liability policy consider the retroactive date and remember, generally the farther back the date, the better. If you work directly with customers by providing services, consider a professional liability insurance policy. A customer or client can sue even if you’ve done nothing wrong. If a customer or client believes for example, they received inferior service, mistakes were made or they received bad advice from your company, they may make a claim or even sue your business. Professional liability insurance helps cover common claims including negligence, misrepresentation, violation of good faith and fair dealing, and inaccurate advice. Depending on the terms, a professional liability insurance policy may also help cover privacy violations. Having professional liability insurance can help protect you and your business from the time-consuming work and costly expenses that come with mounting a legal defense after a client sues. A type of liability insurance covering wrongful acts arising from the employment process. The most frequent types of claims are: sexual harassment, wrongful termination, and discrimination. In addition, the policy covers claims from a variety of other types of inappropriate behavior. It also covers employment related: defamation, invasion of privacy, failure to promote and negligence evaluation. The cost of EPLI coverage depends on your type of business, the number of employees you have and various risk factors, such as whether your company has been sued in the past. The policy will reimburse your company, against the cost of defending a lawsuit in court and for judgements and settlements. The policy covers legal costs, whether your company wins or loses the suit. However, the policy does not cover punitive damages. The average cost just to defend a sexual harassment case in the state of New Jersey is $110,000 and for wrongful termination is $95,000. A performance bond, also known as a contract bond, is a surety bond issued by an insurance company or a bank to guarantee satisfactory completion of a project by a contractor. A job requiring a payment and performance bond will usually require a bid bond, to bid the job. When the job is awarded to the winning bid, a payment and performance bond will then be required as a security to the job completion. For example, a contractor may cause a performance bond to be issued in favour of a client for whom the contractor is constructing a building. If the contractor fails to construct the building according to the specifications laid out by the contract (most often due to the bankruptcy of the contractor), the client is guaranteed compensation for any monetary loss up to the amount of the performance bond. Performance bonds are commonly used in the construction and development of real property, where an owner or investor may require the developer to assure that contractors or project managers procure such bonds in order to guarantee that the value of the work will not be lost in the case of an unfortunate event (such as insolvency of the contractor). In other cases, a performance bond may be requested to be issued in other large contracts besides civil construction projects. Another example of this use is in commodity contracts where the seller is asked to provide a Bond to reassure the buyer that if the commodity being sold is not in fact delivered (for whatever reason) the buyer will at least receive compensation for his lost costs. Bid Bond – As the name implies, this type of contract bond guarantees that if you bid on a particular project and are awarded the contract, you will honor the terms of your bid and sign all contracts related to the project. This prevents contractors from submitting a lowball bid and then changing the terms of the contract before work gets underway; or backing out of a contract after being awarded the bid. Performance Bond – A Performance Bond guarantees that you will adhere to all terms of the building contract and finish the job as promised. A Performance Bond requires contractors to stay on-budget and meet the predetermined completion deadline. Payment Bond – A Payment Bond acts as a guarantee to your subcontractors and suppliers that you will pay them for services and materials they provide to you for the project. This safeguards them against cash-strapped contractors who allocate all their resources toward honoring their building contract while failing to adequately compensate their subcontractors and suppliers. Supply Bond – A Supply Bond guarantees that you will be able to provide all needed materials to a contractor. This type of bond may be relevant for contractors who also furnish building materials for projects on which they may not actually perform the work. Maintenance Bond – A Maintenance Bond guarantees that the workmanship you provide on a project is dependable enough to stand the test of time. In other words, a Maintenance Bond protects the client against losses caused by shoddy labor practices during construction or materials defects for a predetermined length of time after the project is completed. Subdivision Bond – Also called an Improvement Bond, this is often required by a municipality or public agency before entering into a contract for a new development. A Subdivision Bond basically requires the contractor to make certain improvements to the property or structure(s) over a certain period of time after the development is finished at the contractor’s expense in order to be awarded the initial contract.